Rave Reviews Book Club – Welcome to the World of Suzanne Burke. Dazzled by the ‘Spotlight’ on Rave Reviews Book Club! I love to share the special Highlights of my life! My month long featured tour as The Rave Reviews Book Club’s “SPOTLIGHT AUTHOR” for February 2017 ranks among the most memorable times thus far in my journey as an Indie Author! Let me give you just a glimpse! If you are expecting a “Rave” that’s precisely what you are going to get! BUT, I like to back up my rhetoric with some statistics. So let’s take a look at a few, shall we? My “SPOTLIGHT AUTHOR TOUR” commenced on February 1st 2017. My visitors to this site for the entire month of January 2017 numbered = 91. My visitors to this site for the duration of the “SPOTLIGHT TOUR” February 1st/February 28th =181. Yes! My visitors doubled! The rest of the world contributed a further 20 visitors! Considering the fact that I’m an Australian based author these stats are so very welcomed. We all write because we love to do so! I’m no different. We wouldn’t put ourselves through all the angst of being a writer, otherwise. The icing on that cake is when other people purchase, read and hopefully enjoy our work. When that happens it sets off a chain reaction that reflects in that “Bottom line” we never thought we’d care about when we became writers. In the month of January I garnered For my featured book “Acts Beyond Redemption” 90 sales. 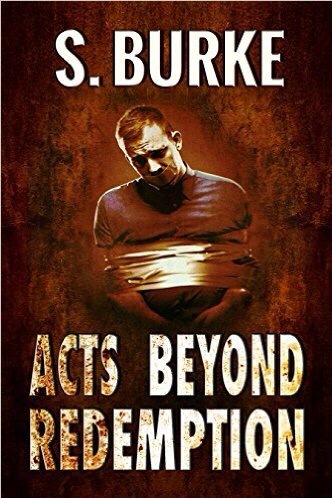 In my ‘Spotlight Author” month of February “Acts Beyond Redemption” Garnered 176 sales. Nuff said, folks? These figures really do speak for themselves, don’t they? By extension of the interest in my work due to the SPOTLIGHT TOUR ALL of my books listed with Rave Reviews Book club had sales increased for the month of FEBRUARY. And last but certainly not least my followers increased both here on my blog and on TWITTER @pursoot where I hang my hat. My blog now has a wonderful 9445 followers. Color me CONTENT! Don’t wait…pop in and take a look at #RRBC this is one place where you get out of belonging to a Book Club, exactly what you put into it … and THEN some. I re-located on February 27th to a small University Town hundreds of miles from Sydney! I was promised that I would have Internet connection within five days. Didn’t happen, folks! My internet was only connected YESTERDAY! 18 days later! Frantic doesn’t even come close to how I was feeling … on top of all the stress of such a big move. I logged in to Twitter only this morning to find that every one of my scheduled posts for the month to date had received continuous and marvelous support from all the folks at RRBC, despite the fact that I had been unable to offer reciprocal support for weeks! I am one very happy camper! THANK YOU ALL! For your faith in me, and the friendships which I shall continue to treasure. To the President of Rave Reviews Book Club; The wonderful Nonnie Jules, thank you will never be enough. I always like to share a little about the author when I review one of their books. Bill’s love of reading commenced at a very young age. He credits his Gran for encouraging his interest by regularly taking him to the local library after primary school. At boarding school, when the lights went out in his dormitory, he was often encouraged by the other boys to tell stories. English Literature was always his favourite school subject. My review 🌟🌟🌟🌟🌟An uncompromising, fast paced explosion of a book! Lets be clear from the outset, this book deals with Human Trafficking; with all its inherent violence, degradation and shattering control over freedom, using fear and pain to reach those objectives. It is not a comfortable topic, but the Author doesn’t try and pretty it up for generic consumption, he tackles it head on with great empathy, revealing the utter degradation that keeps these girls silent, dis-empowered, and often forgotten. The characters aren’t so much written, as they are etched, with a light touch, this author has beautifully drawn each of the central figures, with layer after layer of pain and anger simmering as an intensely volatile brew just beneath the surface. Author Bill Ward gives us Afina, he shows us her fragility, her desperation, her fear, yet her grants her a defiant will, lest we become too complacent and write her off to the dirt of the lifestyle she was forced into. This author makes us care about his characters including their imperfections. Powell is a man driven by revenge. His daughter is dead, he seeks retribution, whatever it takes to achieve it. His child died whilst attempting to save Afina. He wants Afina protected to make his child’s death count for something. We understand the demons that drive him. The author weaves his web carefully, constructing its threads and leading us forward, in this relentlessly fast-paced explosion of a book. If you enjoy uncompromising thrillers, this book is for you. As for me … I’m off to grab book 2.